(Bloomberg) -- The battle for some of Russia’s richest gold mines has an unusual cast of characters: the scion of one of Europe’s great banking families, a Kazakh tycoon with his own cryptocurrency, hedge fund D.E. Shaw, and mystery shareholders. They’re all part of a new fight for control over Petropavlovsk Plc, a London-listed miner. For the second time in a year, the company is in the middle of a shareholder coup to throw out the board and revive its fortunes. 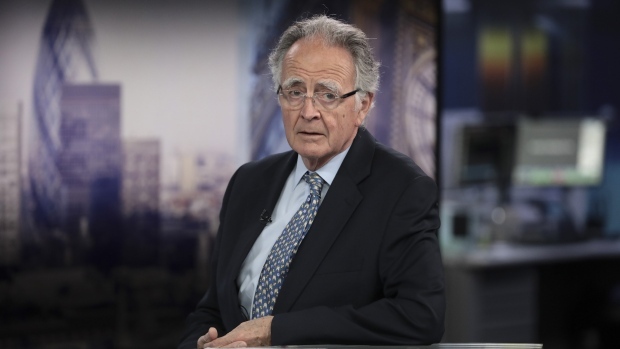 A decade ago, Petropavlovsk was worth $3 billion and was mentioned as a future member of the benchmark FTSE 100 Index, but sinking gold prices and management missteps reduced it to a penny stock. The company, started by Pavel Maslovskiy and banking heir Peter Hambro, still owns profitable mines and a new plant that’s about to start operating. “It’s a turnaround story," said Ivan Mazalov, director at Prosperity Capital Management Ltd., a Russia-focused asset manager that recently bought shares. Petropavlovsk cut gold output in recent years to focus on more profitable ounces, and so far it seems to be working. Last year, the company reported the highest net income since 2012, and the big hope is that a new processing method will allow mining of more complicated ores. But to achieve a comeback, Petropavlovsk needs to fix a fissure in the company that has erupted this month. On one side are a pair of mystery shareholders trying to oust the board and bring back old directors. On the other side are owners including D.E. Shaw that threw out the executives last year. The two unidentified shareholders -- CABS Platform Ltd. and Slevin Ltd. -- are registered in Gibralter and Anguilla, respectively and own a 9.1 percent stake. It’s not publicly known who is behind these holding companies. The ultimate kingmaker is likely to be Kazakh tycoon Kenes Rakishev, the biggest shareholder and son-in-law of a former Kazakh deputy prime minister. The executive, who holds investments in banks, mobile phones and infrastructure projects, bought a stake in Petropavlovsk in December. It’s still unclear what Rakishev’s intentions are, but he’s been critical of the current management. Earlier this year, he blasted executives for a lack of ambition and promised an overhaul. Rakishev has said the move to oust the board was a surprise and wanted to learn more about the rebel shareholders’ plans. The key issue is likely to be whether Petropavlovsk’s co-founders will be allowed to return. Rakishev and the new shareholders have called for Maslovskiy to retake the CEO job, but it’s an open question whether Hambro will join him. Hambro has been so closely associated with Petropavlovsk that until 2009 it was called Peter Hambro Mining Plc. He was chairman since founding the firm with Maslovskiy in the early 1990s, and both oversaw the company’s rise and fall. Hambro was ousted last year by shareholders angry about the company’s missteps, and Maslovskiy resigned soon after. The group was led by Russian billionaire Viktor Vekselberg and supported by D.E. Shaw, M&G Investment Management Ltd. and Sothic Capital Management LLP. That coalition has now crumbled. Vekselberg sold his stake to Rakishev, while M&G sold at least some of its holdings to Prosperity Capital. “We will listen to everyone’s story,” Prosperity’s Mazalov said. “The idea is to balance everyone’s influence. In a company where there are many shareholders, there should be a consensus." Hambro has voiced support for the new shareholders, adding that getting Maslovskiy back would be good news for all. Still, it’s ultimately up to Rakishev to decide who leads the company and what sort of future it will pursue. --With assistance from Jack Farchy and Liezel Hill . To contact the reporter on this story: Thomas Biesheuvel in London at tbiesheuvel@bloomberg.net.